This Saturday, Gelati Celesti will open in time for the most important meal of the day. Scott Elmquist Lavender ice cream in a cake cone at Gelati Celesti. Because we live in a truly remarkable time, there’s an entire holiday celebrating dessert as the most important meal of the day. And not just any dessert. 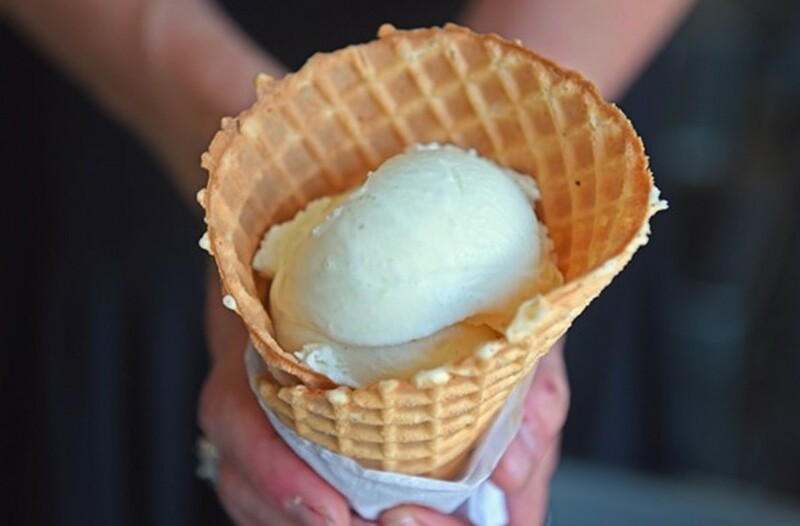 This Saturday, Feb. 2, let's all celebrate Ice Cream for Breakfast Day, a beautifully self-explanatory occasion. Gelati Celesti is acknowledging this most auspicious day by opening its five locations at 9 a.m. And as if the promise of a Gelati cone before lunch isn’t enough, there will also be Blanchard’s coffee, your favorite cereals on hand to go on top of the ice cream, and Sugar Shack doughnuts. Oh, and if you show up in your pajamas, that doughnut is free. And in related Gelati news, the frozen treats empire recently announced that the beloved Rainbow Cookie ice cream, featuring, yes, those rainbow cookies from Ukrop's, is now permanently available at every location.